If you live in Michigan and you’re trying to adopt a Persian kitten or cat, your best choice is to go to a Persian cat breeder. These are people who specialize in the breed and really understand their personality traits and how to care for them. Finding a Persian cat breeder in Michigan can be difficult, but we’ve done all of the hard work for you. We’ve spent hours researching to find all of the different Persian cat breeders in Michigan and you can find our full list below. How They Describe Themselves: My name is Jen Vercammen and I live in Cottrellville Michigan. I am a wife and mother of 5 beautiful boys! I was Veterinary Technician for almost 10 years before we decided I should stay at home with our boys. We have 3 children with Congential Heart Defects who have undergone several open heart surgeries. How They Describe Themselves: Welcome to home of CFA registered chinchilla and shaded silver persian cats, kittens and adults. Breeding chinchilla and shaded silver persians has been a passion of mine for over 25 years. I breed only with DNA PKD negative cats. MY cats are known for the deep dark mascara, brick red, not pink, noses and flowing, long gorgeous coats. How They Describe Themselves: My name is Michele, and I am the proud owner of a small cageless Cattery here in west Michigan. I live here with my husband, and I work from home. Our children are grown and in College, so I have plenty of time to spend with the kitties. How They Describe Themselves: I am a small hobby breeder of Persian and Himalayan cats. I started with NCFA registered cats and have added CFA cats as I have gone along. This Spring, I will be going to my first CFA cat show. .I am excited to learn about these shows and meet other breeders who share my love for cats. Hopefully, by next year I will be ready to show my own cats. 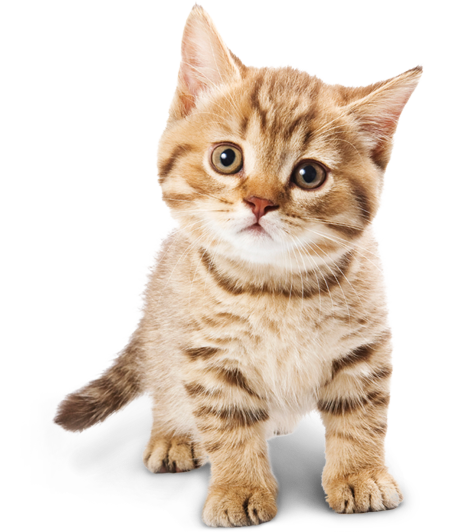 How They Describe Themselves: Located within Oakland County in Michigan, our focus is to produce healthy, happy kittens that fit the persian standard. Health is our number one priority so with this in mind, our cats get regular vet checkups and are DNA tested PKD-, and also negative for FeLV, FIV, and parasites. How They Describe Themselves: My name is Sandy Roudebush with Jasans Cattery. I have been a CFA registered Cattery since 1981. I'm located in Lansing, Michigan. I raise Persians and now have an Exotic Short-hair program, specializing in Solids, Bi-Colors & Parti-Colors. How They Describe Themselves: My name is Debbie Varga & I have a small Cattery in Michigan. USAI am breeding Bi-Colors & Whites OnlyI am a Persian Breeder for over 40 yrs.I was a Vet. Tech. for many years & now I am retired.I am also a Professional Dog & Cat Groomer. How They Describe Themselves: We are a small CFA Persian/himalayan hobby breeder.Kittens will be vet checked and have their first shots and worming done by our vet before going to their new home.Our kittens are CFA registered, get vet checked with first shots, wormer given, and sometimes second shots depending on age before they go to their new home. How They Describe Themselves: All kittens are placed with basic kitten inoculations and several health reviews, all completed by our vetenarian. Possible colors are solid, tabby, himalayan and particolors. How They Describe Themselves: My name is Nanette and I'm a small cageless cattery in Michigan. I have been a registered breeder with CFA since 1979. I'm a very clean cattery with no ringworm, flea's, or ear mite's. I breed for standard and like the bi-colors. How They Describe Themselves: Alanlee is a unique Persian cattery which has been breeding CFA registered persian and himalayan kittens for 38 years. It is owned and operated in beautiful Greenville, Michigan which is one hour North east of Grand Rapids. Not finding what you want with the Persian cat breeders in Michigan? Sometimes this happens as most small catteries only have one or two litters per year. If you’re looking to adopt a Persian kitten or adopt a Persian cat, you have two choices.